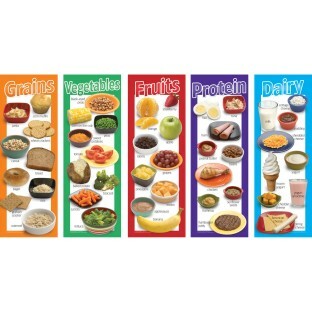 Encourages healthy eating for kids! Posters measure 8-1/2" x 24"
Set of 5 colorful 8-1/2" x 24" laminated posters help children identify food and encourage healthy eating! Common foods are organized by food group, including grains, vegetables, fruits, meat and beans, and milk products.